Old canning jars are popular among collectors for their lovely colors, interesting shapes and the nostalgic memories they evoke. Many of us remember our mother, grandmother or favorite aunt displaying a hand-picked bouquet of wildflowers in a pretty blue-green quart jar. Once a common, inexpensive, household item, some old canning jars now come with a healthy price tag. With plenty of reproductions and just plain fakes on the market, collectors must pay attention to the details to get the best picks. Check the style and color. Only a few types of Atlas jars are collectible: the Atlas E-Z Seal, Atlas H over A Mason, and the Atlas Strong Shoulder Mason. Colors are usually blue-green or aqua, or clear. Beware of very strong colors which may indicate a reproduction or irradiated glass. Look for identifying characteristics. The Atlas Strong Shoulder Mason has heavier glass below the jar neck to prevent it from cracking easily. 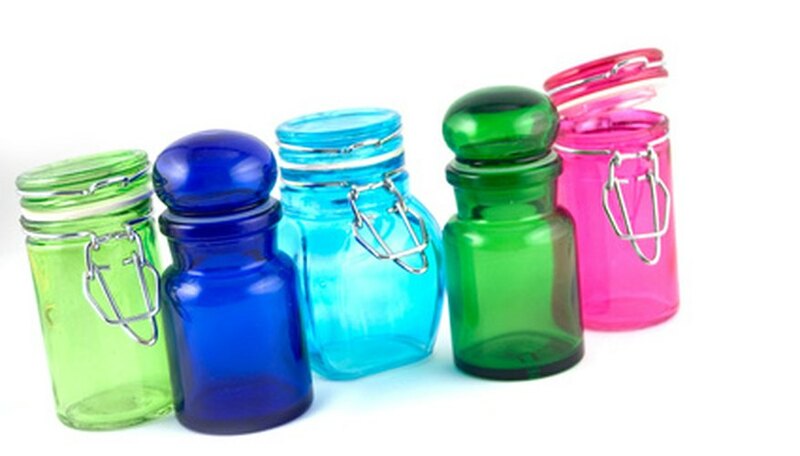 The E-Z Seal is a lightening jar, a design which has a distinctive glass bubble lid or stopper clamped to the jar with a wire bail. The wire is permanently affixed to the neck of the jar and the bail swings up “quick as lightening” to hold the lid, hence the name. Run your fingers over the glass carefully to check for nicks and chips. Inspect the glass in good light to find scratches, cracks or fractures. Earlier may have distortions in the glass. Later machine-made examples are more uniform. Skip jars marked Atlas Mason which are likely produced by a new Atlas company and not of value to collectors. Don’t rely on dates printed on the jar. 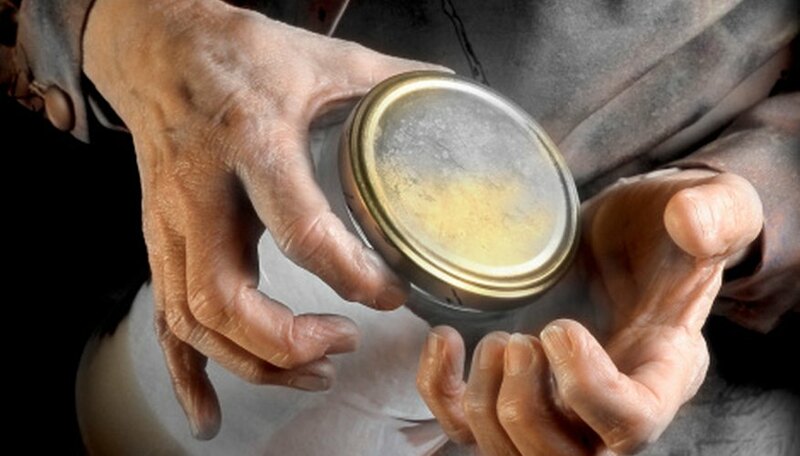 Many reproduction companies list the same date or model number on jars that have been produced over several decades. 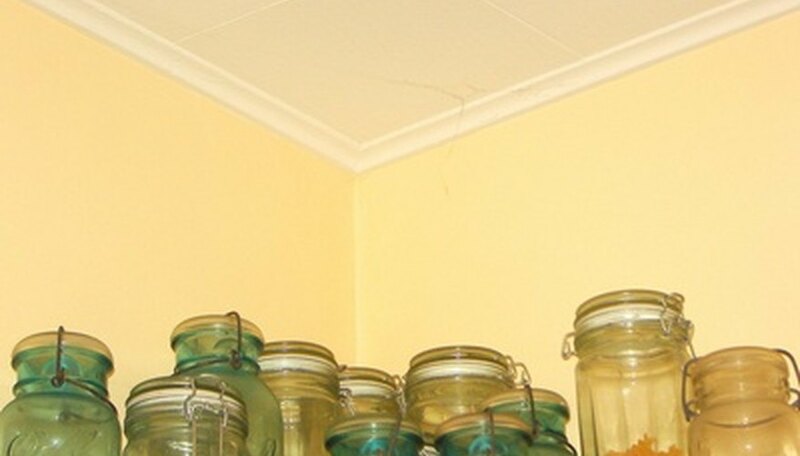 Vivid or unusual colors, bright wire on the bails, oddly wrapped wire and a greasy feel to the glass are all indicators of recently made or reproduction jars. Be wary if the details don’t fit together to form an authentic picture. Find good resources like Bottles and Extras, the official magazine of The Federation of Historical Bottle Collectors at fohbc.com/BandE_About.html.